Sharing media coverage with the election lately is ongoing news about a rapidly spreading virus called the zika virus. While only 36 people (as of this posting) in the United States have contracted this virus, other areas of the continent and the world have been more brutally hit. So much so that the World Health Organization (WHO) has declared it a global public health emergency(1). Don’t let that scare you too much. Keep in mind, the people in the US who have the zika virus did not get it here. In most cases, they were infected while traveling in countries where the virus is more prevalent and returned with it. The virus is not transmitted from person to person, so the infection does not spread if an infected person touches or breathes on you. It is spread to people through the bite of an infected mosquito, specifically an Aedes mosquito; and, yes, we have that type of mosquito in the US. This mosquito, which is known to transmit other weird diseases, gets the zika virus by biting an infected person. So, the more infected people, the more infected mosquitoes. The more infected mosquitoes, the more infected people. According to the WHO, it’s not certain how long after exposure that symptoms will appear, but it’s likely a few days. Symptoms include a fever, skin rashes, conjunctivitis (red eyes), muscle and joint pain, malaise and headache. These symptoms are usually mild and last for several days to a week(2). Some people might not even know they’ve been infected. For most people, zika virus disease will pass with little concern. Treatment is geared to relief of symptoms and should include getting plenty of rest, drinking fluids to prevent dehydration and taking medication such as acetaminophen to reduce fever and pain (3). There is no specific treatment for the virus itself and no vaccine to prevent infection. There are potential complications of the zika virus, however, and pregnant women and their newborns appear to be at highest risk. In addition to the bite of a mosquito, the virus can be transmitted by a mother to her baby during pregnancy or around the time of birth. The WHO’s emergency declaration comes in the wake of a “strongly suspected” link between the virus and the neurological birth defect called microcephaly. Statistics have shown that in Brazil, which has seen an explosion of the virus, there are higher than normal cases of microcephaly in populations with evidence of zika infection. Microcephaly is a rather rare condition present at birth in which the infant’s head is abnormally small, which is generally associated with incomplete brain development and intellectual disability. 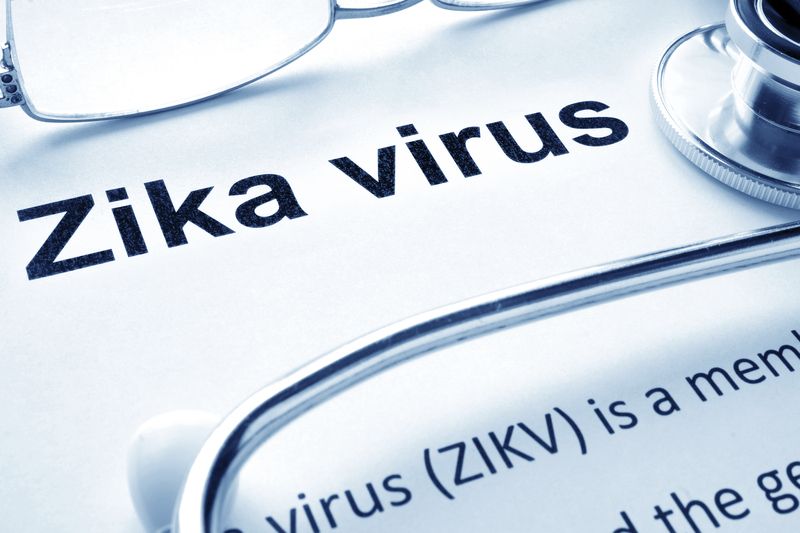 A potential link between the zika virus and the neurological/autoimmune condition Guillain-Barré syndrome is also suspected. With Guillain-Barré, the individual’s immune system attacks the nerve cells, which causes muscle weakness and sometimes paralysis that can last a few weeks or several months. Most people recover from Guillain-Barré syndrome, but some are left with permanent damage. Tom Frieden, director of the Centers for Disease Control and Prevention, affirms the CDC’s commitment to dedicating resources to discovering better testing for diagnosing zika virus, as well as ways to treat it, contain it and prevent it in this country(4). He notes that for non-pregnant people, the virus poses no significant health risk. He also believes that from the information known at this time, a widespread transmission in the contiguous United States appears to be unlikely. Still, wear your insect repellant and long-sleeved shirts and long pants when outdoors. Stay in places with air conditioning or screens on the windows and doors to keep mosquitoes out. Avoid being outdoors when mosquitoes are most active, and help children and the elderly with mosquito prevention. Take steps and be safe from all mosquito-borne illnesses, as well as the discomfort of their bites!